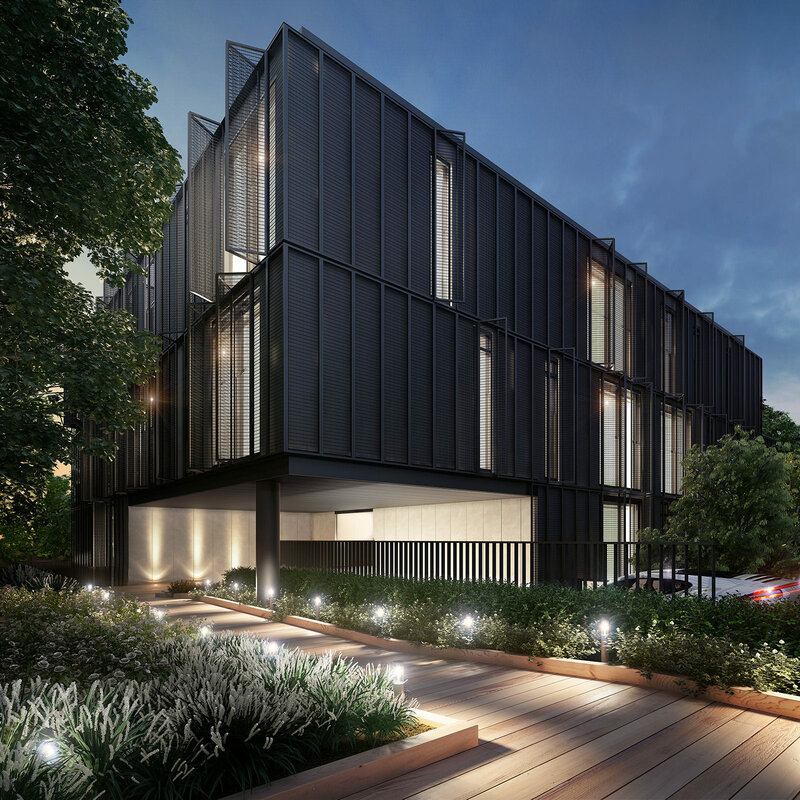 The Ferndale Road Townhouses have been designed with its location in mind; each light filled townhouse is 2 storeys and provides the amenities for elegant, high-end living. 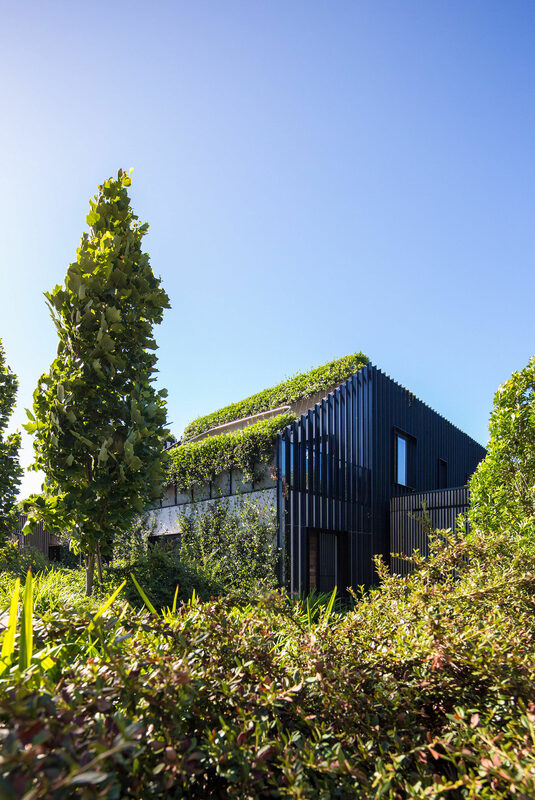 The positioning has been considered to allow vistas through to the park and oriented to maximise passive solar penetration and views to the north. 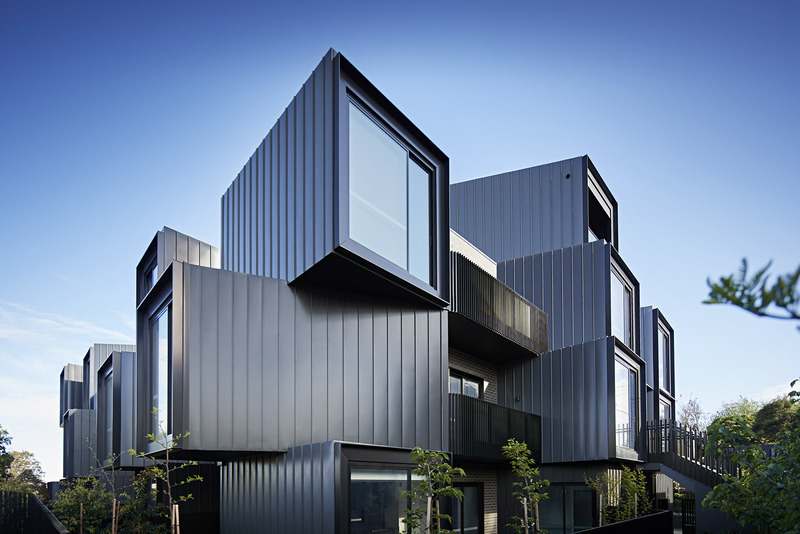 The design responds to the character of the surrounding residences and allows it to sit comfortably within the neighbourhood. 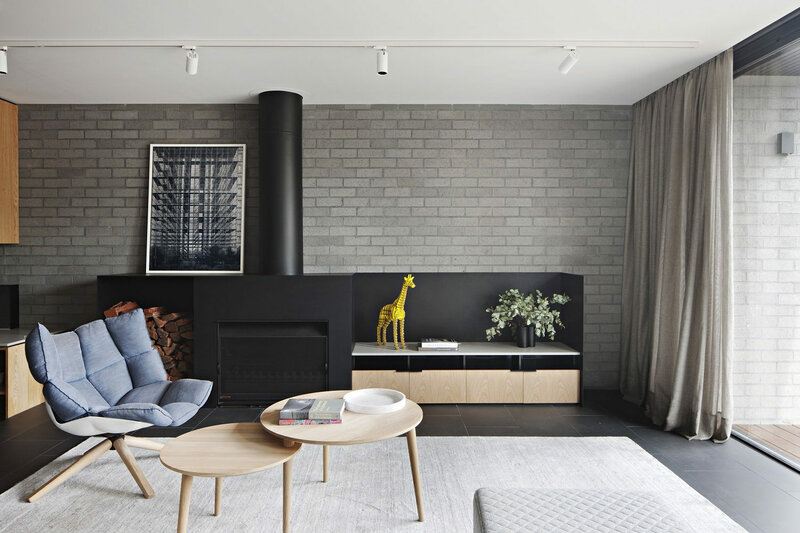 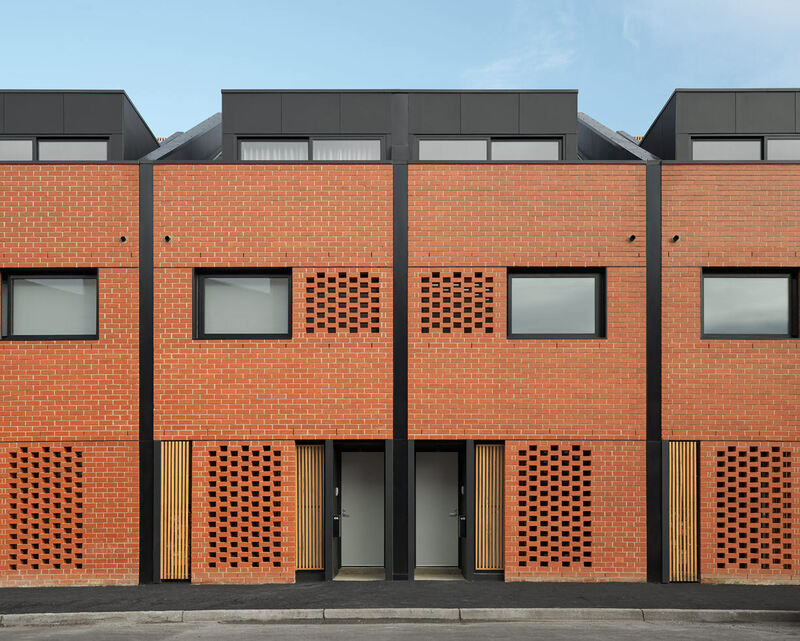 The form making idea for the townhouses is responsive to their landscape setting with gentle skillion rooves intersected to allow light to flood in from high level windows. 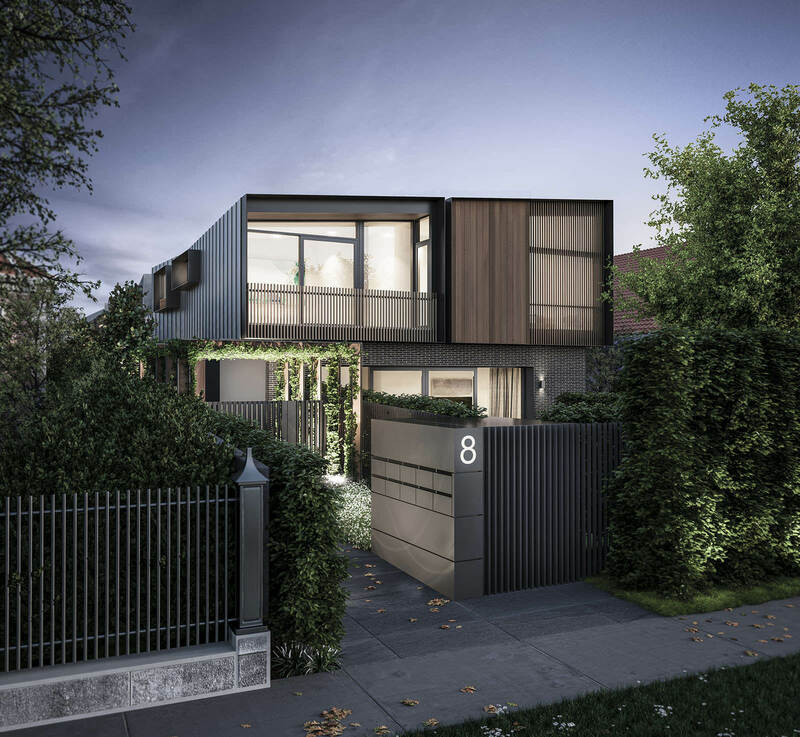 Careful consideration has been given to the internal planning of the townhouses.